Do you own heavy equipment? SRND is here for you. We have a reputation for reliable heavy equipment repair. We specialize in building and repairing worn out linkage parts. We have been in business since 1985 and our experience throughout Washington and Oregon gained throughout the 25 years of service can be trusted. We work hard to uphold our reputation and value the trust of our customers. SRND will assist you with deciding whether to repair your pivot pins and linkage or fabricate new ones. We realize that your heavy equipment is crucial to your business and will keep the costs down while minimizing your downtime. 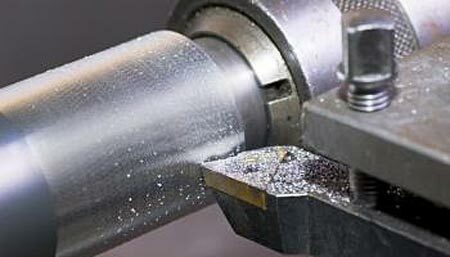 It is sometimes cheaper to get new pins and we can easily fabricate customized ones for you in our shop in Washington. Need to line bore a piece of equipment? We’ll come to you. There is no need for major disassembly of your heavy equipment for transportation to Woodland, Washington. We’ll use our service van to bring the line boring machine to you. Unlike many other heavy equipment repair companies that use temporary methods such as inserts or bushings, we build up and line bore the actual machine. This ensures that all the elements fit together to original tolerances or better. This way, your machine will be operating at 100 percent. We all know and understand that it is difficult to make a profit with worn-out heavy equipment. SRND is here to service your equipment throughout Washington and Oregon.